Only current MCSS members have access to resources from breakout sessions. Thank you to Minnesota Civic Youth for hosting a fantastic clinic on "Respectful Conversations in Schools"! 95% of 2019 attendees said they received valuable resources, ideas, and strategies at the MCSS conference in Duluth. "I left feeling like my job is important and the work that I do will make a difference." "I received access to countless new and useful resources, got some great tips on pedagogy, and was able to meet social studies educators from across the state." "I appreciated the options I had as an elementary teacher." 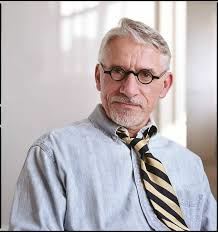 "I wish that more teachers/administrators/school districts realized how important it is for social studies teachers to attend this conference!" The 2019 MCSS Annual Conference took place in Duluth, Minnesota, "With Liberty and Justice for All." Thank you to everyone who attended the annual MCSS conference! We are grateful to our presenters, exhibitors, sponsors, speakers, room hosts, location hosts, and all others who made this event possible. We hope to see you all again at MCSS 2020 in Mankato! Each year, MCSS welcomes a variety of fantastic exhibitors! Thanks to our generous publisher sponsors, teachers will get to choose two free books (one Macmillan, one Random House). If you bring a sock or underwear donation, you get to choose a third! You're coming to Duluth, anyway! Come early on Sunday afternoon for a FREE clinic with Minnesota Civic Youth, focused on their new program, "Respectful Conversations in Schools." This program provides teachers and students with a model for discussing controversial issues. It is designed to increase students' civic knowledge, participation skills, and dispositions while improving classroom climate. Coaching and feedback to teachers who host at least two Respectful Conversations during the school year. Anyone who registers and pays in full for the Monday conference can attend this clinic. Teams of teachers strongly encouraged. Contact Jessica Ellison for more information. Sunday, March 3, 2019: 1-4 p.m., Duluth Entertainment Convention Center. 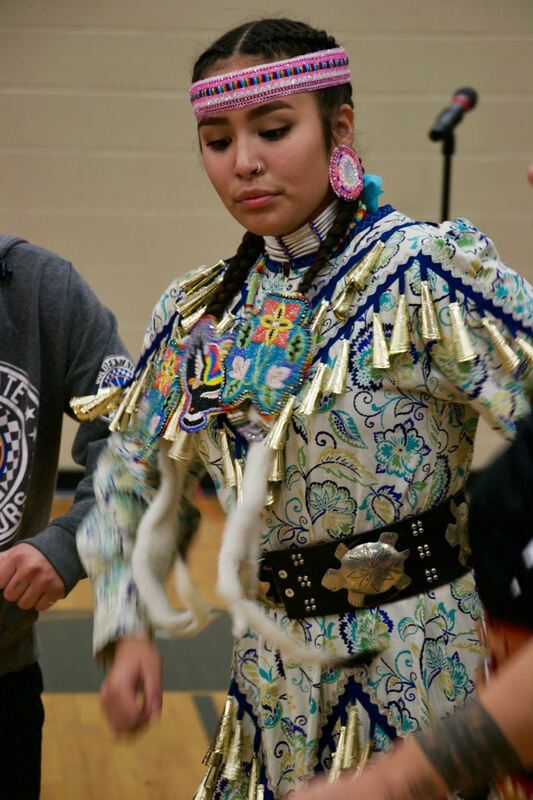 During the lunch hour on Monday, we are pleased to welcome students from Deer River Drum and Dance. 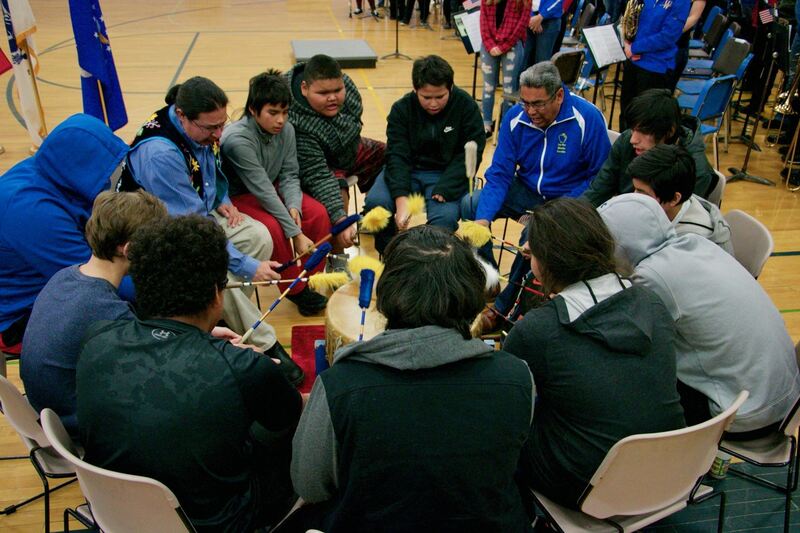 Many of the students are Anishinaabe from Leech Lake Band of Ojibwe, but the group will also include students from around Minnesota and some students with Alaska Native heritage. MCSS is once again sponsoring a drive for a local homeless shelter; this year, we are supporting Life House. Please bring new, unopened packages of socks or underwear (for youth ages 14-24) to the registration table at the conference. You'll receive another free book with your donation, and help your fellow Minnesotans during these cold months. In an effort to help the environment, MCSS will not be producing conference bags again this year. We have found that teachers have a stash of these bags already and more often than not, extra conference bags go right in the trash. Please Bring Your Own Bag, and at the registration table we will provide you with all your conference goodies!